Palm oil is found in half of packaged supermarket products. Its unsustainable production has led to decimation of rainforest, threatening species like tigers and orangutans. How can we help reduce its environmental impact? Palm oil is derived from the fruit of the African oil palm tree (Elaeis guineensis). Around a third of all vegetable oil is palm oil and it’s used widely in food, cosmetics and other household products. Over 90% of palm oil is grown in Southeast Asia, specifically Indonesia and Malaysia. More than 50 million tonnes of palm oil is produced every year. In the last forty years, oil palm plantations have expanded dramatically, in response to ever-increasing global demand for palm oil. Why is palm oil so widely used? Palm oil is very versatile and widely used. At least 50% of packaged products sold in supermarkets contain palm oil. It is also increasingly used as a biofuel. It uses up to 10 times less land than other major vegetable oils such as rapeseed or sunflower. It uses less fertiliser and pesticides than alternative oils, and it can be harvested all year round. It is odourless, tasteless and does not require hydrogenation to form a solid fat. It produces higher yields per hectare than other oil crops – for example, one hectare of land can produce 4,000kg palm oil, compared to 500kg of kernel oil. It is therefore cheaper than competing vegetable oils. Despite these potential benefits, current business practices are not sustainable. Industry expansion threatens natural forests and other ecosystems in many countries throughout the tropics. What are the problems associated with irresponsible palm oil production? Palm oil is typically produced on land previously occupied by tropical rainforests and peatlands that contain high levels of biodiversity. This land is often cleared illegally, destroying some of the world’s most diverse habitats, and increasing pollution and carbon emissions through slash and burn agriculture. In many areas, palm oil companies fail to respect local communities and treat their employees poorly. ZSL is working to encourage the palm oil industry to reduce its negative impacts on the rich wildlife and ecosystems in Indonesia and elsewhere. Should we just stop buying palm oil? If we stop buying it, palm oil producing companies could still sell their unsustainable products to markets that do not demand high environmental standards. Although there are alternatives to palm oil, such as soybean or rapeseed oil, these other vegetable oils also come with their own set of problems. The International Finance Corporation and the World Bank has estimated that to meet the world’s vegetable oil demand in 2020, an additional 42 million hectares of land would need to be cultivated for soybean oil, compared to only 6.3 million hectares for oil palm. Palm oil production provides income for over 4.5 million people in Indonesia and Malaysia alone, and accounts for 4.5% of Indonesian GDP. Boycotting palm oil removes incentives for large businesses and small-scale farmers to adopt more sustainable practices. To prevent increased deforestation and pollution, we must create demand for producers to reduce these negative impacts. Don’t just avoid the problem by boycotting palm oil altogether; instead be part of the solution by supporting Roundtable on Sustainable Palm Oil (RSPO) certified sustainable palm oil (CSPO) as a minimum. Look out for products bearing the RSPO Trademark, which show that they contain a minimum 95% of CSPO. Download the RSPO Trademark App to find out which RSPO Certified products are available in the supermarkets near you anywhere in the world. Learn more about the work of other organisations promoting better management practices in the Palm Oil Innovation Group. Explore more about the issue through The Guardian’s excellent interactive: from rainforest to your cupboard – the story of palm oil. See how some of the most famous products you buy have performed on Oxfam’s Behind the Brands ethical scorecard. Read through the Union for Concerned Scientists’ palm oil scorecard, and global warming factsheet. Watch the trailer for WWF’s palm oil conspiracy thriller. ZSL first started working with the palm oil industry in 2001, advising companies on how to safely manage wildlife, including populations of Sumatran tigers found where they operate. We advise key members of the palm oil industry to help them raise standards. We encourage good practice in companies working within key ecosystems. ZSL sits on the governing board of the Roundtable on Sustainable Palm Oil (RSPO), supporting the development of its global certification scheme, which currently covers one fifth of all palm oil produced worldwide. ZSL runs the Sustainability Policy Transparency Toolkit (SPOTT), a free online resource that provides assessments of major palm oil producers and traders, and key timber, pulp and paper producers against best practice indicators relating to environmental, social and governance (ESG) issues. Need advice on sourcing sustainable palm oil? Together with the British and Irish Association of Zoos and Aquariums (BIAZA), ZSL promotes sustainable behaviour change among visitors and best practice in zoological management. We believe that zoos provide the perfect venue to raise awareness and take action on the issue of sustainable palm oil, because many of the tropical species in our collections are directly affected in the wild by palm oil industry operations. Although good progress has been made in the sector, one of the main barriers preventing zoos from reaching 100% sourcing of certified palm oil is the lack of traceability, the lack of RSPO membership, and uptake of RSPO certification in animal feed supply chains. BIAZA supports actions to increase the supply of sustainable palm oil being brought into the UK and encourages its members to ensure unsustainable palm oil is removed from their supply chains by sourcing products containing only certified sustainable palm oil. 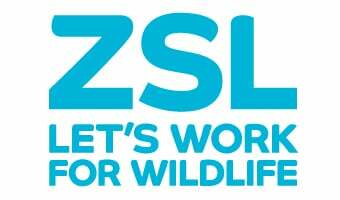 Visit the BIAZA website for a useful list of resources. Explore palm oil in pictures. ZSL's Sustainability Policy Transparency Toolkit (SPOTT) assesses companies on their public commitments to environmental and social best practice. Unsustainable palm oil production is destroying rainforest and putting species like the tiger and orangutan at risk. ZSL is working to change unsustainable palm oil practices. Explore our image gallery to find out more.